What are the most promising strategies to treat alcohol and drug abuse? What are their medical implications? Despite the enormous resources spent on treating alcoholism and drug dependence, there is still no satisfactory evaluation of their effectiveness or of the cost of the different alternatives. Programs designed to treat substance abuse should be built on a foundation of evidence-based knowledge. Yet it is almost impossible to cope with the increasing amount of scientific literature. This book thus represents a guide through the myriads of articles. The most comprehensive scientific review of its kind, it presents the findings from more than 1,600 studies on the effectiveness of different treatments. 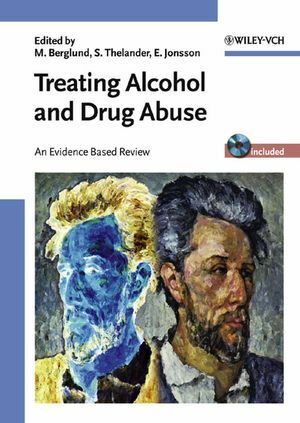 The work also includes a summary of the methods available to intervene against harmful levels of alcohol, with most of the studies making use of the Diagnostic and Statistical Manual of Mental Disorders (DSM) system. The extensive results are arranged in detailed tables, which may be searched using the accompanying CD-ROM. Also enclosed are a quality checklist and an extensive glossary explaining more than 70 terms. An invaluable tool for medical researchers, clinicians and doctors as well as healthcare providers and insurers, allowing them to save major resources by identifying ineffective treatments and being aware of cost-effective alternatives. With a foreword by Henry R. Kranzler, University of Connecticut, USA. Secondary Prevention of Alcohol Problems. 2. Psychosocial Treatment for Alcohol Dependence. 3. Pharmacotherapy for Alcohol Withdrawal Syndrome. 4. Pharmacotherapy for Alcohol Dependence. 5. The Long-Term Course in Alcohol and Drug Dependence. 6. Psychosocial Treatment for Drug Dependence. 7. Pharmacotherapy for Opioid Withdrawal. 8. Pharmacotherapy for Opioid Dependence. 9. Pharmacotherapy for Cocaine Dependence. 10. Pregnancy, Neonatal Period, and Substance Abuse. Appendix 1: Project Group Authors and Scientific Reviewers. Appendix 3: Guidelines for Estimating Effect Size.